This is one alternative for those of you who don't want to wear a dress in New Year's Eve. What do you think? 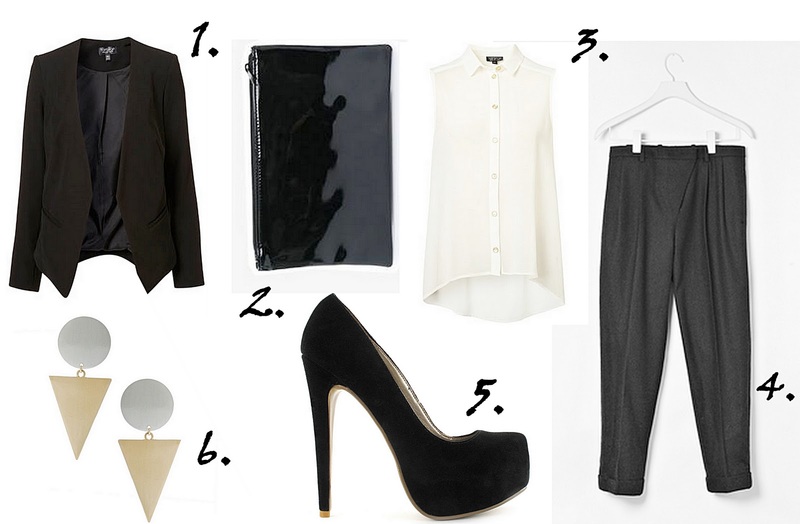 It's a great idea and I love this look, specially the heels, pants and blazer. It's so simple and smart for that night. Hope this help you. Must say that I really like the choice of color, very simpel but still very elegant. Love the shirt! Such nice inspo pics you have here on the right!